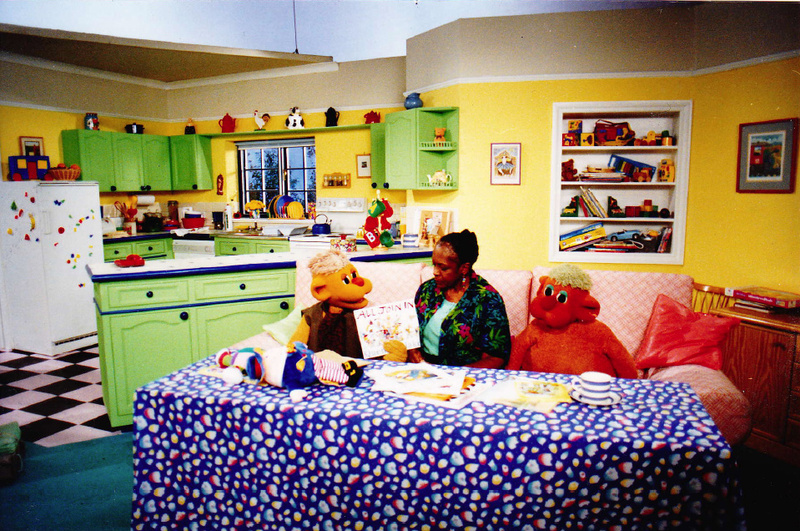 Early years puppet show 'You and Me' was produced in it's latter years by Sheila Fraser of SFTV. 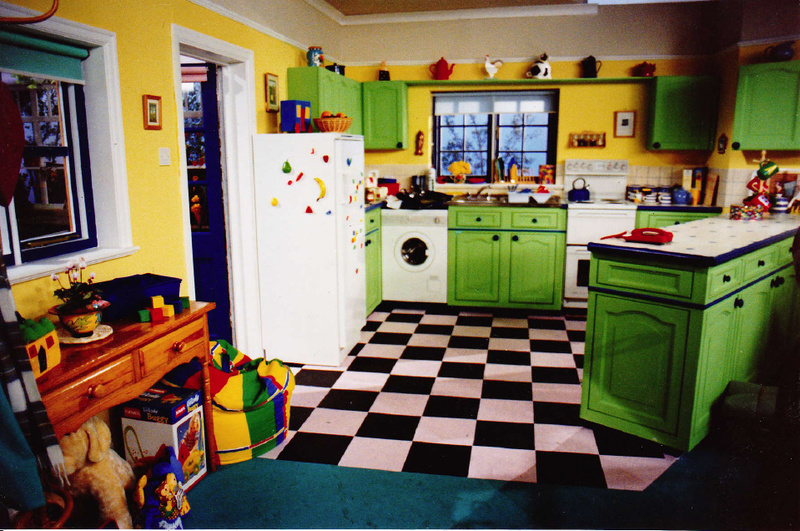 I designed this set for Capital studios, Wandsworth and, since it had human presenters, the set was on ground level with Puppeteers operating off trolleys. 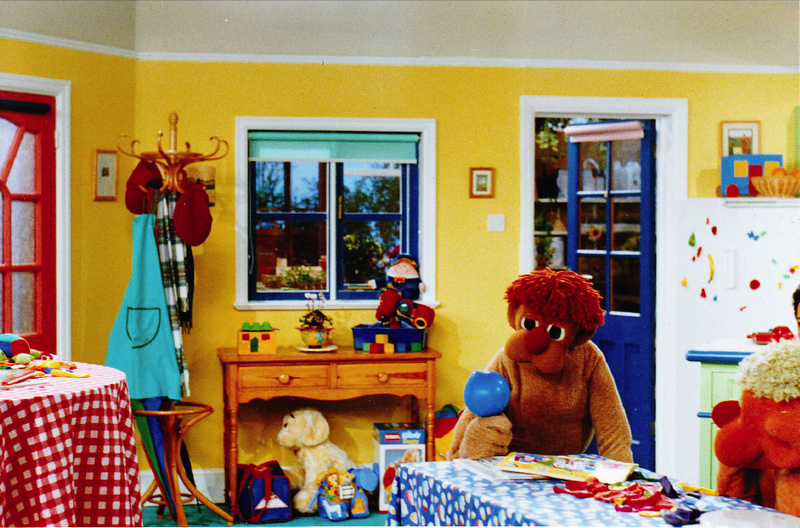 Characters Cosmo, Dibs and newer character Baxter were presenting from a brightly coloured house set. 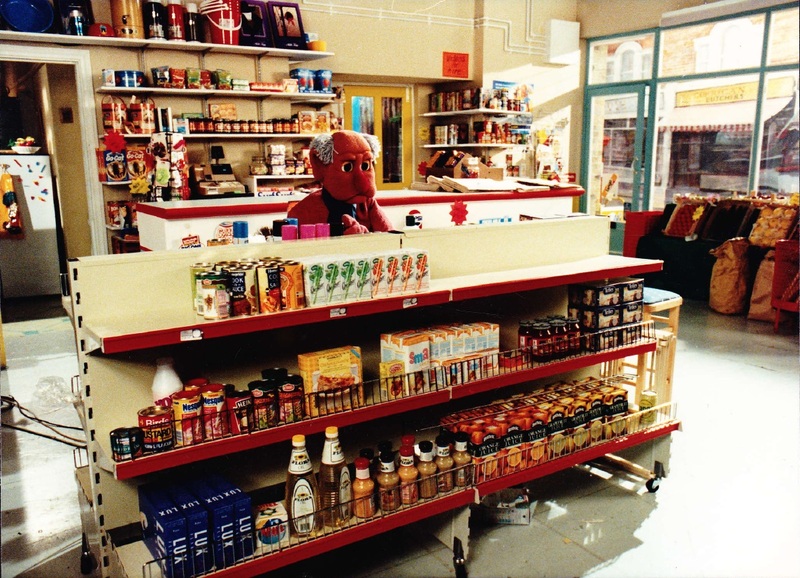 The previous series, at the BBC, I also designed and this was also a composite set of shop,house interior and yard.It was really a development away from the market stalls set up of the earlier years. 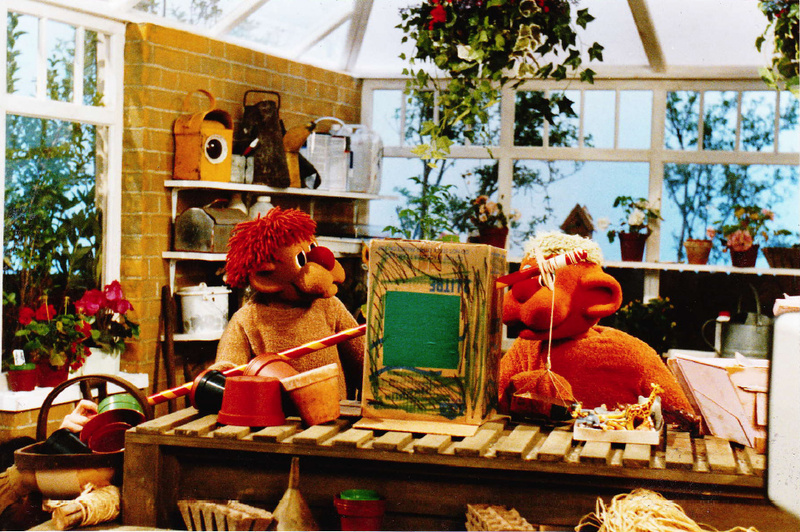 Cosmo and Dibs in the conservatory - doing a make! 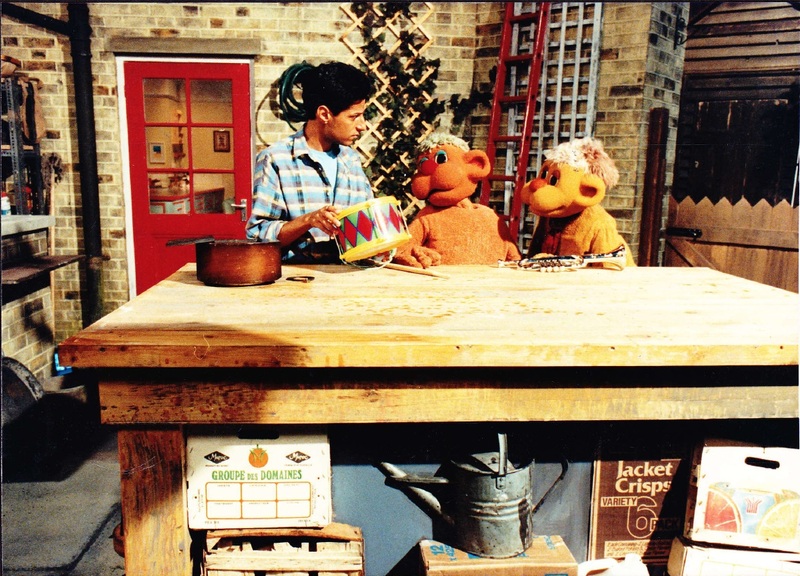 The inevitable cloth covered table to mask puppeteers Francis Wright and Richard Coombes.Presenter Isabelle Lucas. The link through to the conservatory behind made for great depth of shot. Como and Dibs in the yard - from the previous series with presenter Michael Snelders. All looks a bit washed out on this clip and most of this episode set on a mountain for some reason I can hardly remember. Producers Julie Callanan and Cas Lester. 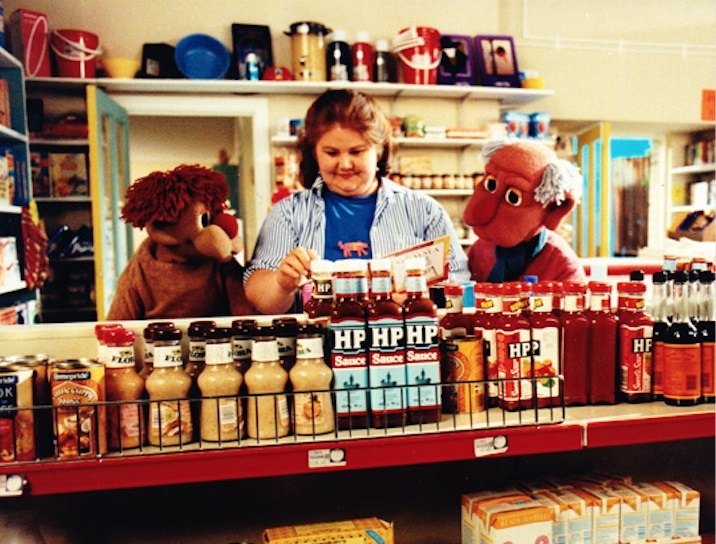 Baxter and Cosmo with presenter Annette Badland in the 1989 shop set!